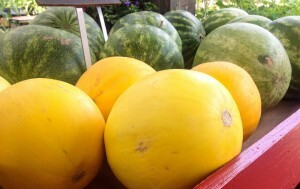 It’s Summer….The Red Market Tables Are Full! 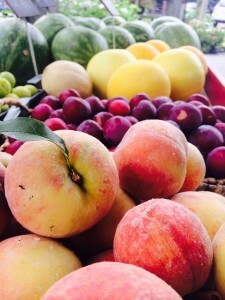 Melons, Chilton County peaches, plums, and more are filling the red market tables at the entrance to the shop. There’s nothing better than biting into a ripe, juicy peach, or making a cobbler with the freshest fruit. 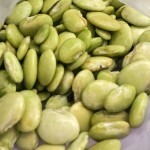 The cooler in the greenhouse is stocked with peas when they’re available, both blackeye and pinkeye, as well as butterbeans, freshly shelled – they are huge summertime favorites of many. Here you’ll find all sorts of greens from Michael Dean – mixed lettuces, tatsoi, mizuna, and more, from his farm that provides fare for many of the best restaurants in town. And, whenever we can get them, organic eggs from Shannon Blount. Do you like to make fresh summer salsa? 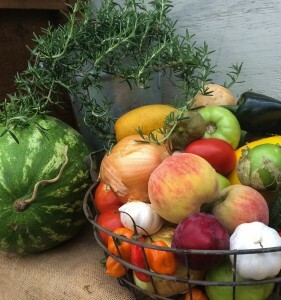 All season long the local tomatoes are plentiful, as are peppers, cucumbers, and vidalia onions – the perfect additions to a fresh salad or salsa. This year we’ve added a “tropical” table too – full of exotic fruits – mangoes, cactus and more – it’s a fun addition to the local fare! 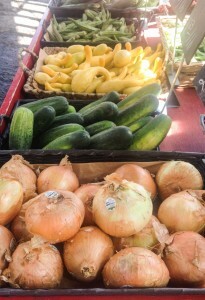 The market has freshness every day of the week through the summer and into the fall. Located at the entrance to the greenhouse, you can’t miss the goodness! 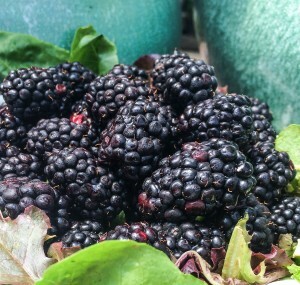 This entry was posted in Local Market, Summer, Vegetables and tagged blackberries, fresh fruits, fresh market, local produce, peaches, red table market on June 16, 2014 by Kris Blevons.